Hyderabad, Feb 26: Calling Congress chief Rahul Gandhi a snake and Telugu Desam president N Chandrababu Naidu a mongoose, TRS working president KT Rama Rao on Monday said both had joined hands in the recent elections and conceiving of coming to power in the state but the people had given them an apt reply. KTR was addressing former sarpanches and ZPTCs and MPTCs of the Congress from Devarakadra constituency who joined the TRS at Telangana Bhavan. Reacting to Naidu's remarks of disclosing the mask of understanding between the TRS, YSRC and the BJP, KTR said Naidu was the care of address for cheating, betrayal, and conspiracies. He said there was no need for the TRS to go to Andhra Pradesh and ask the people to defeat Naidu. The people of AP have seen Naidu's real face and will teach him a lesson in the coming elections," he said. He alleged that Prime Minister Narendra Modi had given national project status to Polavaram and ignored TS Chief Minister's request to declare Kaleswaram as a national project. 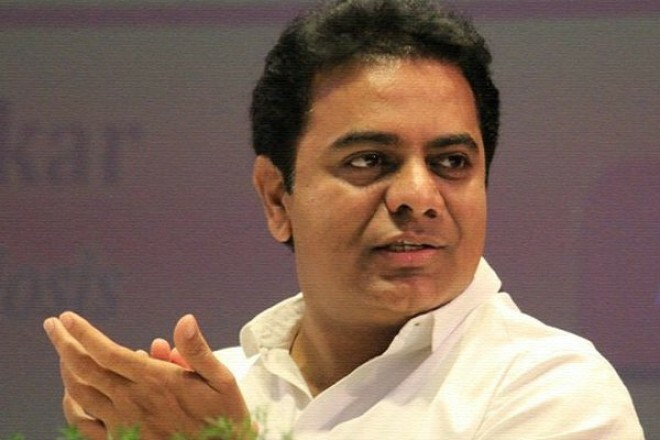 KTR said Chandrasekhar Rao would play a key role in national politics after winning 16 Lok Sabha seats in the ensuing elections.